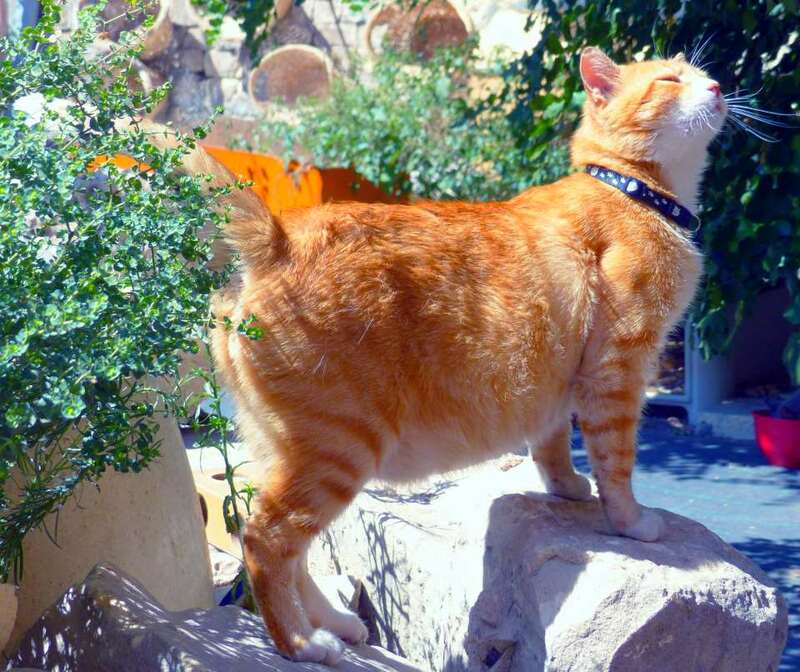 If you want to help Malta's Cats: NEUTER! If you are not in a position to neuter: ADOPT! If you are not in a position to adopt: FOSTER! If you are not in a position to foster: FEED! If you are not in a position to feed: DONATE! If you are not in a position to donate: EDUCATE! This year we have already encountered a disturbig number of desperate people trying to find shelter in the sanctuary for a Cat which tested FIV positive. We have found a clear and up to date introduction to FIV on a Swiss website, however in German. The author most generously encouraged us to translate it for the benefit of Malta's Cats. If the fate of only one FIV positive cat is changed for the better by her research, she would be amply repaid. Her most important message: There is no need to give up a Cat because it tested FIV positive! When nine years ago the author of this article first heard about FIV she was gutted and completely overwhelmed. In the mean time she read about FIV until her eyes went on strike and she talked to every available vet and FIV-cat owner to learn more about FIV and possible infection. ​Her conclusion: when you are told your cat is FIV positive (colloquially has aids), do keep calm! Please do not panic!! FIV is "not nice," but there are far worse diagnoses and conditions. Inspired by her FIV positive cats past and present who share(d) her flat with her remaining four FIV negative cats the author hopes to enlighten and to dispell the fear which is still associated with FIV. The aricle is meant as a guide and introduction. It is by no means exhaustive. FIV is for Cats what HIV is for Humans. Exactly as Aids in humans, FIV causes a weakened immune defence. An FIV infection cannot be cured. And exactly as with HIV, patients are still stigmatised. FIV can only be reliably identified by the western-blot test. The result of a rapid test is not always reliable. ​FIV cannot be passed on to humans or other species. ​How do Cats infect themselves with FIV? The author would like to clarify that her FIV positive cats did not infect each other, but were adopted in the clear knowledge of their condition. ​Is there any vaccine against FIV? No. Apparently there is an authorised vaccine in the US, but the results are not convincing. According to vets in Switzerland there seems to be little hope of FIV vaccinations in the foreseeable future. ​FIV in itself has no symptoms - however, because of the weakened immune defense secondary or rather opportunistic infections may occur. → Opportunistic infection: With advanced immune deficiency the succeptibility for certain pathogens increases, which do not present a problem to FIV negative cats . These could be viruses or fungal pathogens. As with any illness the course of FIV tend to be very individual. Boken down to the basics: Over the years FIV reduces the immune system further and further - until a critical point can be reached where it starts to break down. Until that point is reached, the immune system can continue to function well, - possibly more slowly as the immune system of a FIV negative cat, but equally successful. FIV positive Cats are not necessariy sickly and vice versa, sickly Cats are not neccessarily FIV positive. The author gives eamples of her own Cats. FIV cats can reach a ripe old age and die of a cause completely unrelated to FIV. FIV is NOT a death sentence. Expert opinions differ here. Some vets recommend to support the immune system of FIV positive Cats, others strongly advise against exactly this as there are indications that stimulation of the immune system may cause progession of the FIV infection. The author's clinic advises to leave the immune system of FIV positive Cats as much as possible undisturbed ( let sleeping dogs lie). The author does not give immune-strengthening medication to her FIV positive Cats and did not have them vaccinated after their first basic immunisation.So far no problems related to FIV were encounterd. If a FIV positive Cat comes down with whatever illness, please treat the Cat in exactly the same way as a FIV negative cat. There is medication which should be avoided if at all possible, eg cortisone/steroids. However, if it is the only curative treatment available for a secondary/opportunistic illness it should not be discarded. Under no circumstances any therapy should be ruled out only because a Cat is FIV positive and its immune system supposedly is not up to it. The author quotes the case of one of her FIV positive Cats Mathilde who coped with and completely recovered from a lung operation and a heart operation as well as a cortisone/steroid therapy. When she died at the age of 14 the cause of her death was not FIV .